You must make bookings at least 5 minutes in advance of the time at Rambla. Rambla is available for Catering for up to 1000 people. Please contact Bookings@ramblalondon.com directly to enquire. 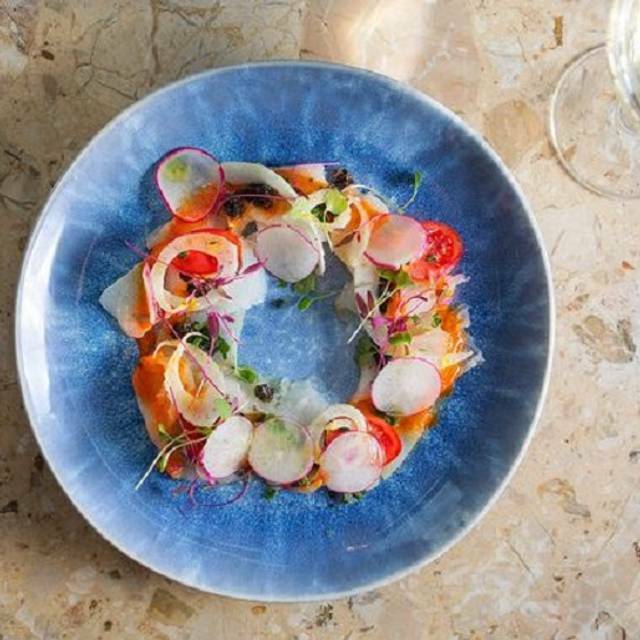 Ranked one of the top 100 restaurants in the UK and a recent inclusion in the Michelin Guide, Rambla is an affordable, modern Catalan restaurant from the team behind Sibarita and Bravas Tapas. 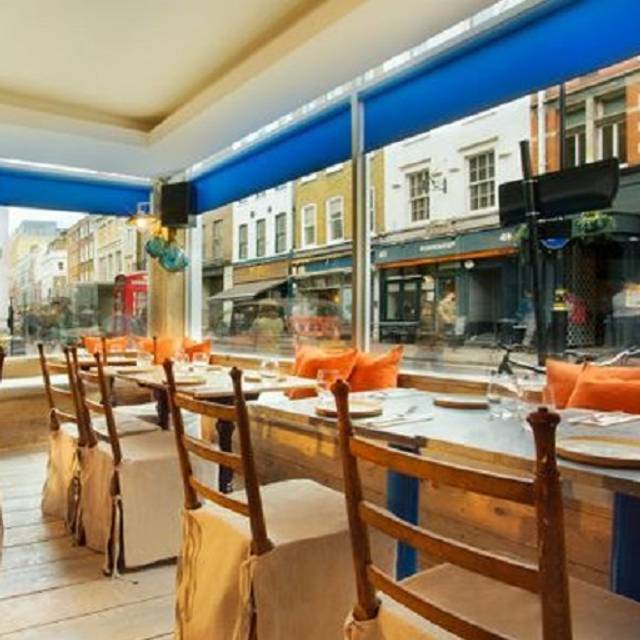 Overlooking Dean Street, one of the busiest streets in Soho, the large windowed dining room in decorated in a rustic Spanish style and serves tapas and small plates in a vibrant setting. Delicious food with a great range of Tapas options. You are packed in so if you go on a popular night be prepared to be snuggling up to the table next to you. Staff very passionate about the food & drink. Would highly recommend to get a burst of flavours that have you believing you are in Barcelona. We thought the food was over priced. The spinach croquettes were very doughy and I could not finish. Thought it was quite standard to be honest. Service was good, but food not great. The portion especially of the sausage roll (just 1!) felt a bit mean! Generally good food. Bread was overpriced (£2.50 for one slice of bread cut in half with garlic oil / £5 with tomatoes!) Short rib was very tender. Spinach croquettas went down well. Nice flavours. Service was ok. Good tapas option if you are in soho and want to avoid the queues of Barrafina. Lovely food, this small little restaurant doesn't have a large selection of food but the dishes are beautifully prepared and very tasty. The portions are small but match the price. Really lovely birthday evening, we were very well looked after and both agreed that the pork belly was the best either of us had ever had! the pork belly was tender but stodgy, although in fairness it was nicely presented. The non spanish staff didn't seem to know the menu well and lacked that 'special touch' that you expect from places that have previously had great reviews. not a disaster, but certainly not good enough to return to or to recommend a friend to. My new favourite tapas restaurant in London - the food was really excellent. Surprisingly few other diners, I suspect that will change as the word gets out! Will be back soon. A few pointers im afraid. The restaurant had a strange smell. I’ve eaten here before and the food was amazing. This time the octopus was rubbery and portion sizes seemed particularly small. Alarmingly when asked about allergies, dishes were handed to us saying ‘this contains dairy’ only to come back 10mins later to say actually it didn’t. Thank goodness it was this way round. The servers wandered almost aimlessly around not really sure what was going on. After receiving the bill it took a long while for them to return with the card machine despite having told them we were off to the theatre that evening and wanted to leave promptly. It’s such a shame as I’ve loved the restaurant in the past and brought guests. I shall have to think twice about doing so in future. Thus wasn’t an authentic Catalan dining experience and the food was average at best given the large number of high quality tapas restaurants in the area. Prices were high for the portion sizes, which were miserable. I did provide feedback when I left and was offered a complementary beer and tapas if I returned. Delicate crab croquettes, divine octopus and yummy mushroom cannelloni... all lovely. Unfortunately some of my first choices had run out, but that just gives me a good excuse to go back again soon! Terribly disappointing. Went for a Sunday lunch and walked out after entrees. Service was non-existent. Menu was not the same as what appeared online and lots of items unavailable. We ordered cocktails and starters and both fell well short of what was expected, especially for the price. Don't know how you can mess up a bowl of olives but that managed it. 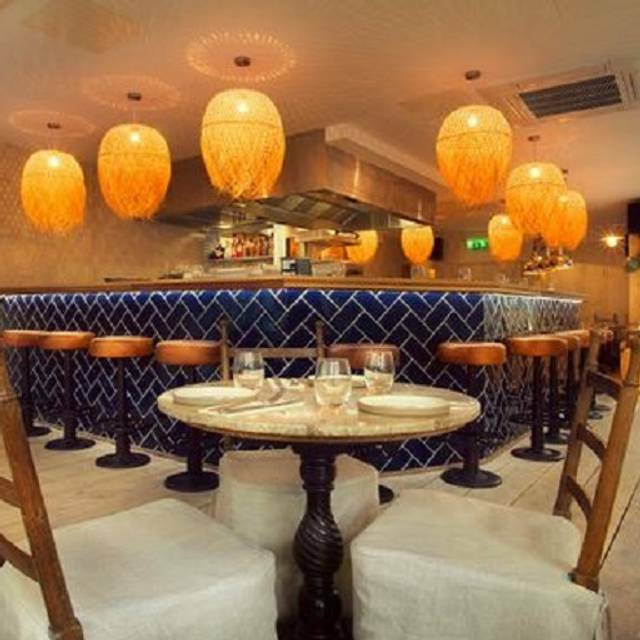 Its a beautiful space and such a shame that the food and ambience just doesn't live up to Soho standards. 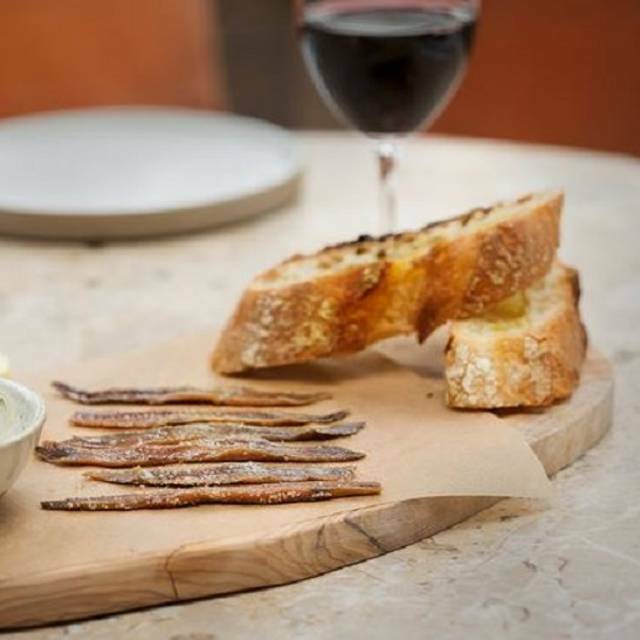 Tapas in Soho can be a bit hit and miss. It's easy to find average standard dishes that are just OK. If your looking for something authentic and delicious head to Rambla. We went early evening on a Saturday and the place was busy and buzzing. 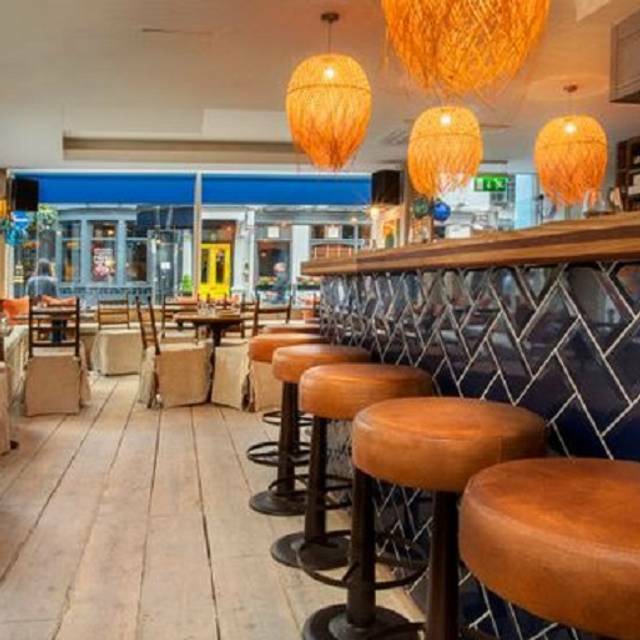 Location is great, directly opposite Groucho Club in the heart of Soho. The food is great. A relatively small selection but every dish we had was executed well. Definitely recommended. The food was reasonable. Service was a little slow, I had to remind them that I had ordered a glass of wine several times before it arrived. Manages to deliver some novel and high quality (and novel) tapas at reasonable prices - good value for the West End. And at the start of evening, it was a pleasantly relaxed environment. Loved the food here, very different to the usual tapas on offer, a real experience & a great location. Not a massive menu but that's not a bad thing. Definitely want to go back there and try out other things asap. This Spanish restaurant has become my favourite Spanish restaurant in London. The quality and taste of food have beyond expectation. Highly recommended to dine in here. Excellent food and hospitality from Emese and all the team! 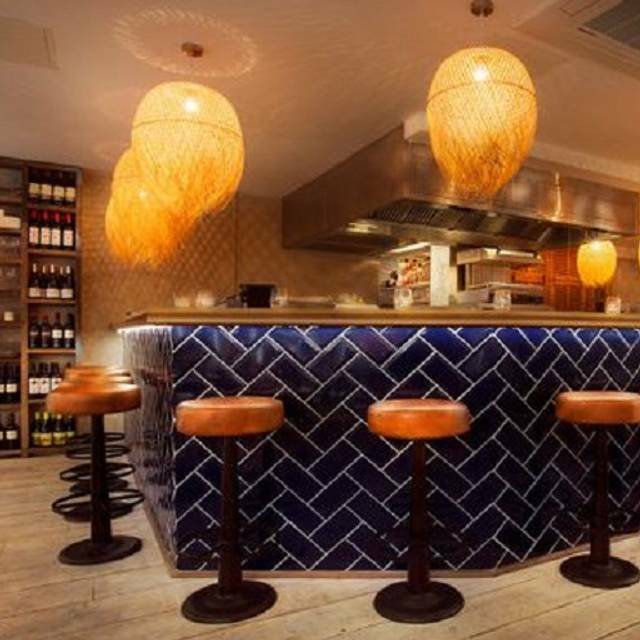 Food is heavy, service is patchy and tapas on offer is not exceptional. The chorizo flambe was the standout dish as was the desert. Loved the food at this place. Staff were great but sadly short staffed. Shame we only had a 2 hour slot as we had to leave before we were ready to. Would visit again as food was great. Love the food here and the wine, have been twice now. Although the food was passible, it was all just ok. Nothing was seasoned well enough, portions were very small (for the price), and a lot of the food was to be honest a bit tasteless. Staff looked stretched and a little stressed. Cocktails were poorly made and wouldn't recommend. Food was excellent but overpriced even by the area's standards. Our waitress was friendly and helpful but the bald waiter or manager was very rude and made us feel like we were annoying him. The service was very poor. It took them ages to bring food and the gentleman who was serving us was dropping cutleries every time he would walk to our table.. he never apologized and we didn’t feel like the service matches the message about this restaurant. On top of that, menu is very small and there is not much to choose from, quality of food is not great either..
Really strange smell in the restaurant, terrible service and average food. 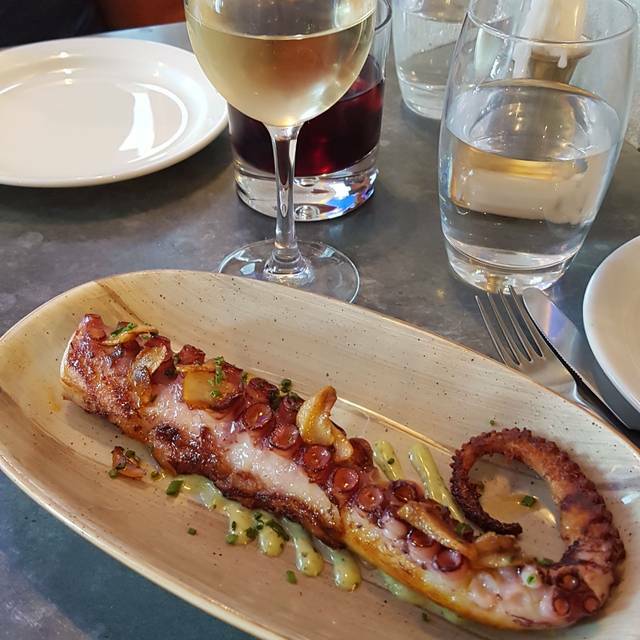 Rambla is wonderful but this time there was very little left available off the menu by 9pm. And for a Thursday night in Soho I found this an unpleasant surprise. Love the food and will be back again for sure but earlier and with a smaller booking! Delicious food. Unbelievably surly & rude manager but the friendly, helpful staff made up for his rudeness. Not much space at the tables. Menus have writing so small they’re barely legible (apparently being changed). The food was delicious. Our favourite dishes were the sea bass ceviche and the chocolate and olive oil tart. One of the best meals I’ve had in London. Lovely ambience and very friendly service. Great food at incredible value - especially fro this part of London. Odd ventilation system means that heating is overenthusiastic and the kitchen smells are quite overwhelming when you enter. Should be easy to fix, at which point you'd have a genuinely amazing restaurant. Disastrous dinner. Food was poor quality and appeared to be hastily put together as if the restaurant was closing down. Staff knew nothing about the menu. They were polite, but clearly coping with serious problems within the restaurant. Great morcilla sliders and the torrijas were magnificent. Mmm, the new truffled wild mushroom canelones, in a delicious cheesy sauce, are outstanding. Add in some nicely blistered Padron peppers sprinkled with sea salt, olives stuffed with cheese, melting pork belly squares and a crisply seductive sobrasada sausage roll, and I guess that was goodbye to the diet! Worth every flavoursome mouthful! Once again I must write to sing (well, write) of my Rambla devotion. The food, atmosphere, service--and wine!! all outstanding. 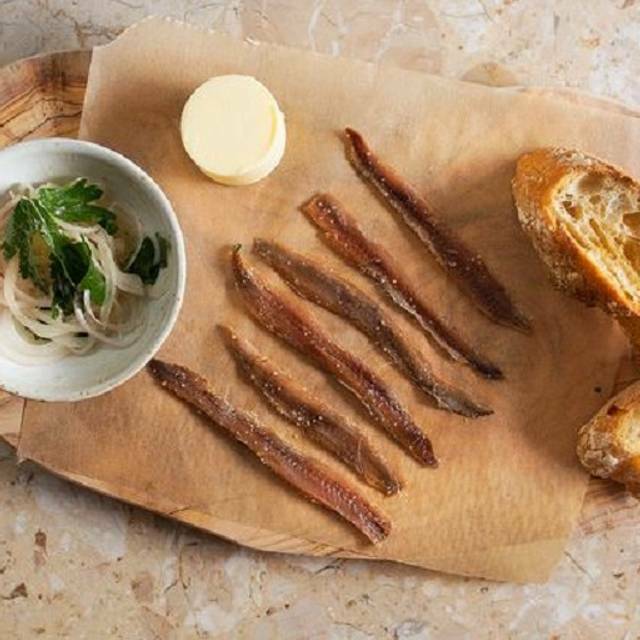 There's always some new dish on offer to delight as well as what have become old favourites. 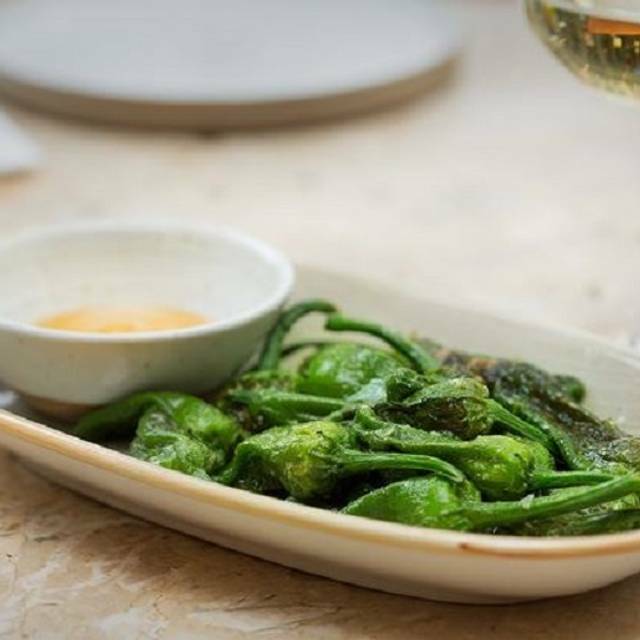 Even with so many food choices in central London, Rambla comes high in my personal Pantheon.